Sam’s curiosity about his own physiology led him to pursue a degree in Exercise Biology from the University of California, Davis. After finishing his degree, Sam rode professionally for the 5-Hour ENERGY Cycling Team and the IRT Professional Cycling Team gathering race experience in North America and across the globe. 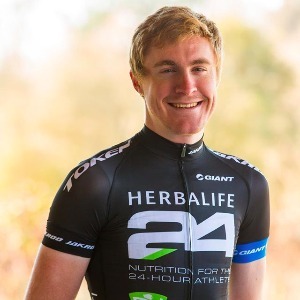 Sam continues to race on the Herbalife 24 p/b Marc Pro-Nature’s Bakery Elite Cycling Team and is excited to leverage his experience and educational background to help you become a better cyclist. Experience confirmed by science. Understanding the science behind sport is the foundation for successful coaching. Applying that knowledge requires a balance between education and experience. Life happens. Training is more than following a prescribed plan to the T. Sam believes that knowing when to go off script and simply have fun on the bike is crucial to maintaining mental freshness and motivation throughout a season. Being a complete athlete. Sam believes that being a good coach is more than prescribing how hard and how long to ride. A good cycling coach has applicable knowledge in every area related to the sport because every detail matters when it comes to performing on the bike. Success. Coach Sam Bassetti has been notified of your message.